​Coffee lovers will tell you that there are two types of people in this world: those who drink coffee and everyone else. The truth is that you don’t have to be a coffee junkie to appreciate a nice cup of ​coffee every once and awhile. Coffee has proven health benefits. Not to mention it helps get you through your day without crashing. Here's the problem: if you're following a keto diet, picking the wrong coffee creamer can completely ruin the health benefits of coffee. 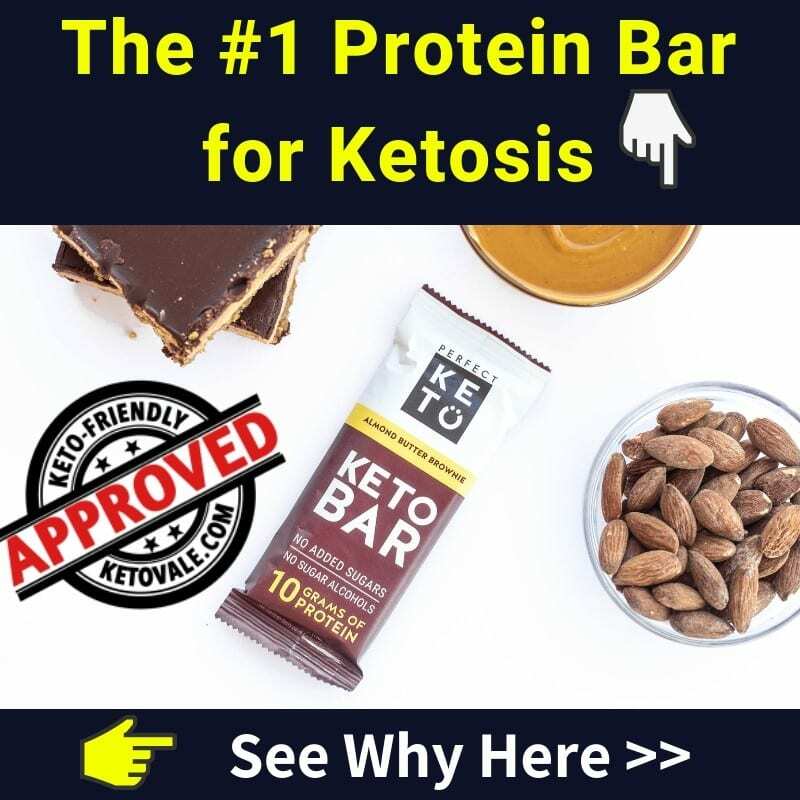 It can also kick you out of ketosis. Most coffee creamers are full of sugar, processed dairy, and artificial flavors and preservatives that are best avoided. While it’s true that you only use a small amount of coffee anyways, it can add up. Luckily, we’ve found three excellent coffee creamers that you can use guilt free. 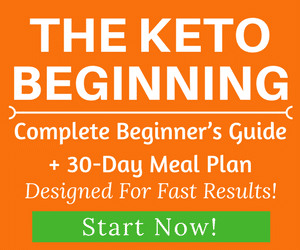 They’re entirely keto-friendly and won’t kick you out of your fat-burning state. 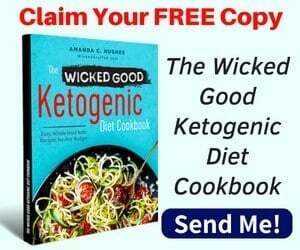 In this review, we’ll talk about what coffee cream is, why and how you use it, and which ones are best for a ketogenic diet. If you're ready to see the best coffee creamers, jump to this section for our recommendations! ​What To Avoid When Choosing Coffee Creamers? ​How to Make Coffee Creamer from Home? ​It seems like a silly question, but if you’ve never tried coffee creamer before, then how would you know what it is? Simply put, coffee creamer is a substance that you add to coffee to give it flavor. Some people don’t like the taste of black coffee, but they like how it makes them feel, so they find that adding in a coffee creamer helps it go down easier. Coffee creamers can be liquid or powder, and you usually add a small amount to your tea or coffee. But most store-brand coffee creamers are made with refined sugar, milk (which is also high in sugar), harmful additives and dangerous artificial flavors. They are far from being made of nothing but pure cream. If you drink several cups a day and put creamer in your coffee, then you’re exposing yourself to a lot of harmful ingredients. Not to mention your coffee creamer could also kick you out of ketosis if you use too much. Most store-bought coffee creamers aren’t even made with cream. Instead, food manufacturers use thickening agents to give coffee creamers their rich and creamy feel. The most commonly used thickening agent is carrageenan, which has a carcinogenic effect in humans and has been linked to gastrointestinal problems (1). Other studies (mostly animal studies) have found that carrageenan may cause or worsen the following conditions: ulceration of the large intestine, ulcerative colitis, congenital disabilities and fetal toxicity, colorectal cancer, insulin resistance and glucose intolerance, liver cancer, inflammation, polys in the colon, and immune system problems (2​, 3, 4, 5, 6, 7, 8, 9, 10). Other commonly used thickening agents include cellulose gel and cellulose gum, which are derived from cotton or wood pulp. Polysorbate 60 is another thickening agent that is commonly used in imitation cream products. It’s derived from sugar alcohol and is used to keep oil and water from separating. Although these ingredients appear to be safe when used in moderation, do you really want to ingest them every day just to make your coffee taste better? You know that comforting smell of hazelnut, mocha or caramel that makes your coffee creamer smell a wonderful first thing in the morning? We don’t mean to burst your bubble, but it’s fake. Artificial flavors are potentially harmful chemicals that are added to food products to give them the desired effect. So in this case, your coffee creamer probably only smells good because it contains a chemical that was designed to make it smell that way. By definition, artificial flavors are different than natural flavors. According to the Code of Federal Regulations, a natural flavor is “the essential oil, oleoresin, essence or extractive, protein hydrolysate, distillate, or any product of roasting, heating or enzymolysis, which contains the flavoring constituents derived from a spice, fruit or fruit juice, vegetable or vegetable juice, edible yeast, herb, bark, bud, root, leaf or similar plant material, meat, seafood, poultry, eggs, dairy products, or fermentation products thereof, whose significant function in food is flavoring rather than nutritional.” You can see that these ingredients sound pretty natural. On the other hand, an artificial flavor comes from ingredients that do not fit these qualifications. In other words, they cannot be described as natural, even if they have the same chemical composition as a natural flavor (11). Potential side effects of artificial flavors include gastrointestinal upset, headaches, and even depression. Until you know where the flavoring in your coffee creamer comes from, it’s a good idea to avoid it. If you’ve ever wondered why some products in your refrigerator last longer than others, it’s probably because they were infused with more preservatives to keep them shelf stable or to prevent them from spoiling. But preservatives are linked to a long list of dangerous side effects, such as headaches, heart palpitations, allergies and even cancer (12). Food preservatives are also linked to hormone imbalances​, obesity, and gut diseases (13, 14). This is why it’s best to look for a keto-friendly coffee creamer that doesn’t contain any nasty additives. However, you’ll probably find that the ones commonly used in most coffee sweeteners are not derived from such natural sources. Research shows that the use of artificial sweeteners (such as aspartame, sucralose, and acesulfame) is associated with long-term weight gain and higher risks of heart disease, diabetes, obesity and high blood pressure (15). Your best bet is to look for a coffee creamer with keto approved no-calorie sweeteners that won’t impact your health such as stevia, monk fruit or erythritol. Check the label of your coffee creamer and you might be shocked to find that table sugar is one of the first ingredients. This is because sugar is a cheap way to make your coffee taste better, and food manufacturers think that you won’t notice if they sneak it in there. Fat-free milk is another popular addition to coffee creamers, but if you’re on the keto diet then you know that milk is a big no-no due to its sugar content. Drinking too much coffee creamer that contains sugar could even throw you out of ketosis if you drink enough of it. Additionally, many coffee creamers contain partially hydrogenated oils to act as a preservative. The problem with these oils is that they have gone through a hydrogenation process in which they were chemically altered and now they are virtually nutrientless. Not to mention they contain trans fats, which have been linked to inflammation. If you’re working hard to reduce inflammation the ketogenic diet, then adding cheap coffee creamer to your coffee is working against you. ​The good news is that we’ve found three delicious keto-approved coffee creamers that don’t contain refined sugars or additives that will make you sick to your stomach or kick you out of ketosis. We’ve also listed the pros and cons to each so that you can pick the one that works best for you. Now you can have your coffee creamer and drink it, too. ​If you’ve ever tried adding butter or ghee to your coffee to make it creamier, than you know that it doesn’t always go as planned. One of the many reasons why people like coffee creamers is because they mix well with your coffee. Otherwise, it feels like you’re drinking butter along with your coffee and the two never really blend together. 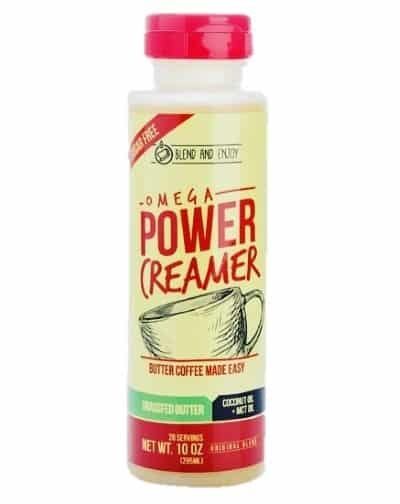 Omega PowerCreamer is made with 100 percent ketogenic-friendly ingredients, such as grass-fed ghee, organic extra virgin coconut oil, and MCT oil. It also contains sunflower lecithin, which has been shown to support heart and brain health among other health benefits (16, 17). Not to mention this creamer supports your ketogenic diet lifestyle because it’s high in MCTs and provides an excellent source of lauric, caprylic, and capric acids, so you’ll get a boost anytime you drink it. The best part is that it comes in liquid form so that it mixes easily into your hot coffee to give it a creamy taste without any carbs, sugar or questionable additives. It’s also shelf stable, so you don’t need to refrigerate it. Appears to be available online only, so stock up! ​Left Coast Performance knocked it out of the park when they made this Keto Coffee Creamer. 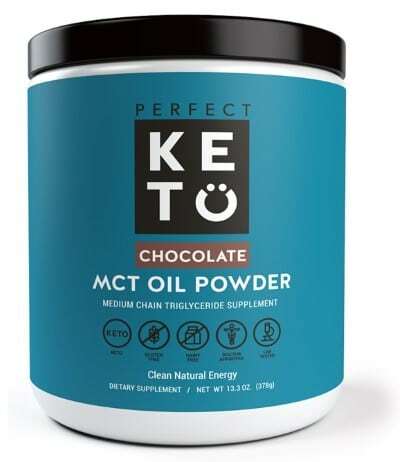 The first ingredient is listed as MCT oil, so right away you know it’s going to be a great addition to your ketogenic diet as MCT oil aids in the production of ketones. Other ingredients include extra virgin coconut oil, ghee butter, cocoa butter, and sunflower lecithin. That’s it! 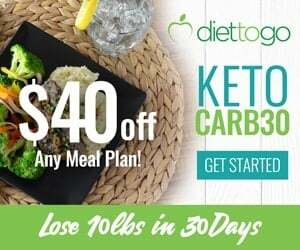 No harmful additives or preservatives and no carbs to kick you out of ketosis. This product is tested for impurities and heavy metals, which means that it contains the highest quality and purest MCT oil available. Because it contains cocoa butter, you can use it to control food cravings or when you need something a bit more flavorful in your diet. Cacao butter is made from the cocoa bean, which is used to make chocolate. ​Peak Performance’s decided to take their ketogenic coffee creamer one step further than the rest and add collagen to it. This is a great idea because most people take collagen anyway, so why not add it to your morning coffee in the form of a creamer? If you weren’t aware, collagen helps keep your brain and heart health. It also eases muscle and joint pain and keeps your skin youthful looking. 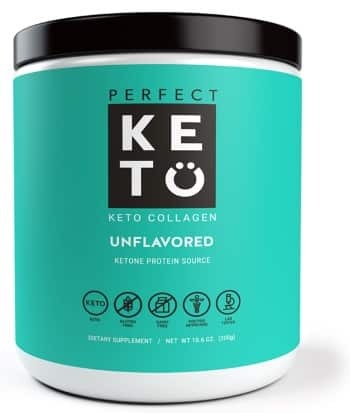 But not all collagens are keto-friendly, so they can be hard to buy. This coffee creamer has got you covered. This coffee creamer contains coconut milk for added fats, acacia prebiotic fiber to support digestive health, and bamboo extract for healthy skin and nails. The collagen in this product is sourced from 100% wild caught marine collagen from wild-caught snapper. It contains no antibiotics, growth hormones or toxins. 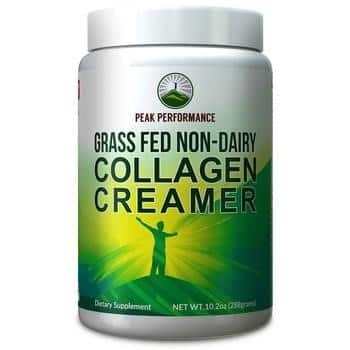 It also provides 10 grams of collagen for every serving along with over 17 naturally occurring amino acids to help rebuild and repair damaged tissue. You can use it hot or cold beverages, so it makes a good coffee creamer for either hot or iced coffee. You can also add it to smoothies! Plus, it’s completely free of dairy, so if you’re sensitive to dairy and want a great looking skin, this is the product for you. ​How to:​​ If you want to make the coffee extremely creamy and frothy, it's best to use a blender as some of these ingredients won't mix well with black coffee. Alternatively, you can try our bulletproof coffee recipe! ​You might know someone who needs a ton of creamer in their coffee to make it editable, but if you invest in a high-quality coffee, then you shouldn’t need to cover up its taste with creamer. Choose a high-quality coffee to enhance the flavor and nutrition, and brew it as directed. 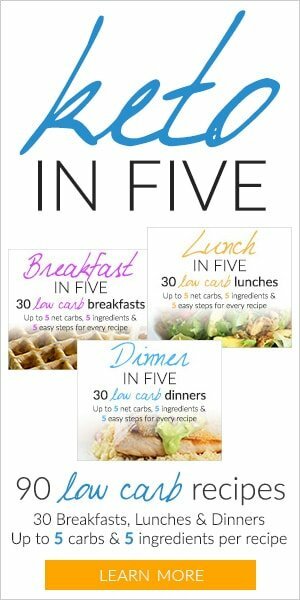 Add ¾ of a tablespoon of coffee creamer to start. You can always add more if you’re an experienced coffee drinker. Some people add as many as two to three tablespoons of creamer, but this number is strictly based on your personal preference. 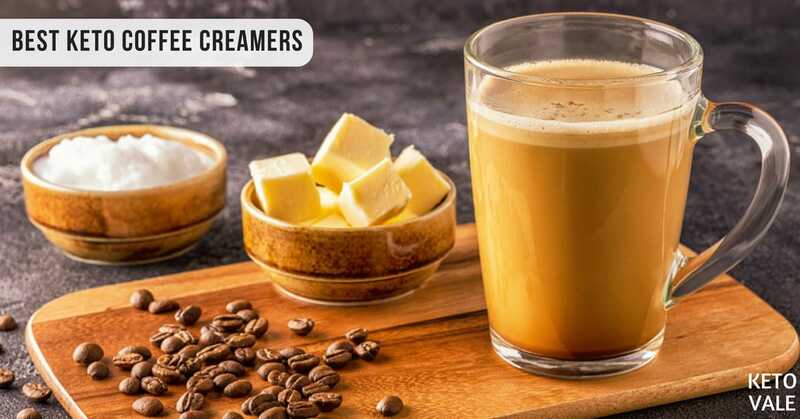 If you use a keto-friendly creamer, then you don’t have to worry about the added calories. Blend! Most coffee creamers that contain MCT oil or ghee will need to be blended so that the ingredients don’t separate. After you add your desired amount of creamer to your coffee, blend it on high for 30 seconds or so until all the ingredients are well combined. Enjoy! Depending on the type of creamer, you can choose from liquid or powder. Some can even be added to cold drinks. So make sure you follow the directions on the product you’re using for best results. Adding coffee creamer to your coffee can help improve its flavor and make it creamier, but if you’re not using a keto-friendly brand, you could be doing more damage to your health than good. Most generic store-brands of coffee creamers contain harmful ingredients, such as refined sugar, hydrogenated oils, preservatives, additives and artificial flavors. This is a problem if you follow the ketogenic diet as the sugar content can kick you out of ketosis. Plus, the harmful additives and preservatives are linked to inflammation. We searched the internet to find the top three best coffee creamers out there. The best part is that they all support a ketogenic diet in different ways. Our top pick is Omega PowerCreamer, which contains MCT oil, grass-fed ghee, and coconut oil to support ketone production. 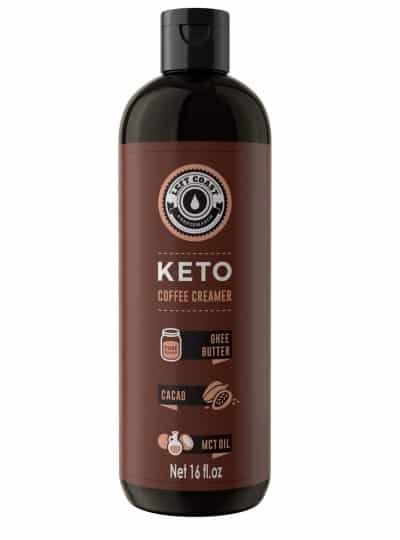 Left Coast Performance Keto Coffee Creamer contains MCT oil, cocoa butter, coconut oil and ghee to also support ketone production while adding in some chocolate flavor. Finally, Peak Performance Coffee contains collagen, bamboo extract, and over 17 amino acids to help with help with hair and skin health. Choose the one that works best for you!